Dungbeetle River Lodge is your entry point to the world famous Addo National Elephant Park and some of the finest game reserves in the Eastern Cape. 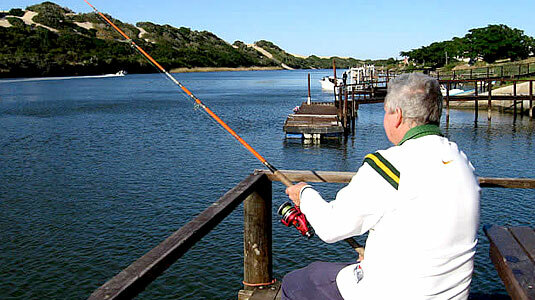 Our Guesthouse is situated on the banks of the Sundays River alongside the new Addo National Park entrance and offers a magnificent deck with sweeping river views as a perfect backdrop to your big five game viewing. 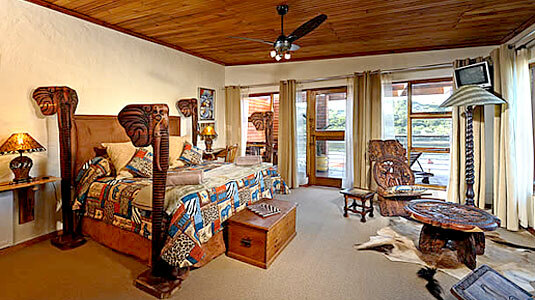 DUNGBEETLE RIVER LODGE has 6 en-suite rooms tastefully decorated in a unique African safari theme that lends a feeling of warmth and character to your stay. 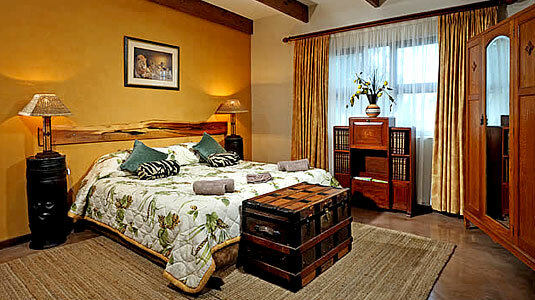 All the rooms are en-suite and include the conveniences you can expect from 4-star accommodation. 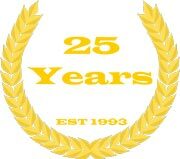 For more information, to get a quote or to make a reservation respond on the form below. 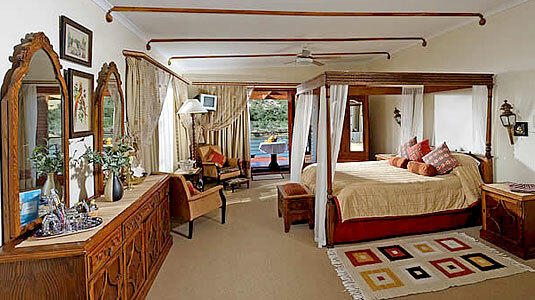 The Fish Eagle Room is the perfect destination for a romantic weekend away. 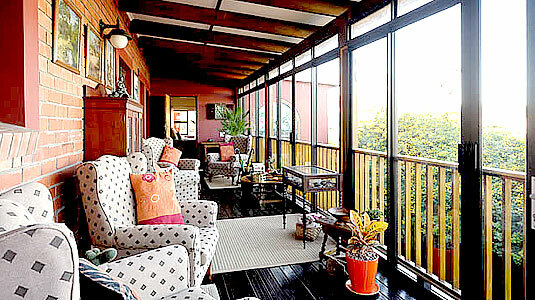 This suite with its four-poster bed and large bath tub open onto a wooden balcony with panoramic views of the Sundays River. An expansive deck overlooking the river and sand dunes is an ideal way to relax and take in the beauty of DUNGBEETLE RIVER LODGE's tranquil setting. Braai facilities and pizza facilities(for large groups only) available by prior arrangement. Meals can be enjoyed at a small restaurant within 200m of the lodge. Your stay is inclusive of a scrumptious full farm breakfast that includes home-baked bread, piping hot muffins and fresh fruit juice. 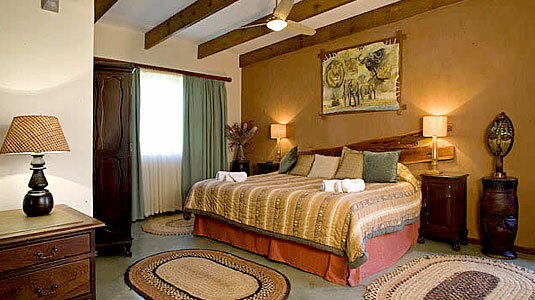 Dungbeetle River Lodge is situated within easy access to some of the best game reserves in the country. In addition to numerous game parks in the immediate area, Dungbeetle River Lodge is an ideal destination to unwind or pursue many exciting activities to entertain those with a spirit of adventure. DUNGBEETLE RIVER LODGE is your entry point to the world famous Addo Elephant National Park and some of the finest game reserves in the Eastern Cape. DUNGBEETLE RIVER LODGE is an ideal destination to unwind or pursue many exciting activities to entertain those with a spirit of adventure. 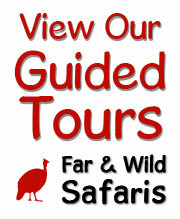 Full day tours into Addo Elephant National Park (Big 5, with qualified game guides). Hiking over the famous Alexandria Dune Fields. 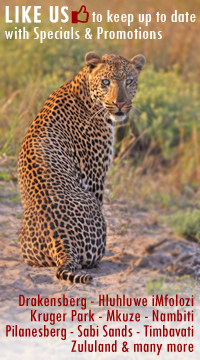 Afternoon and evening safaris on private game reserves. Lion sightings almost guaranteed! Ferry rides on the Sundays River. 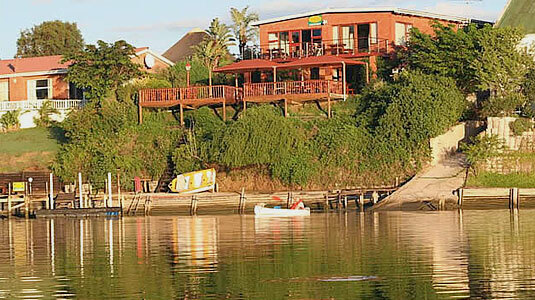 DUNGBEETLE RIVER LODGE is situated alongside the largest coastal sand dune field in the southern hemisphere. Formed almost 65 000 years ago, the Woody Cape / Alexandria Dune fields cover the 3km between DUNGBEETLE RIVER LODGE and the Indian Ocean. The seemingly endless and beautiful dunes make for excellent hiking to the sea. Dungbeetle River Lodge is only 4 kms from the Addo National Park and thus can be reached by road transfer or flight into PE airport. There is 24 hour electricity to all rooms.